The caterpillars probably pupate in their case. 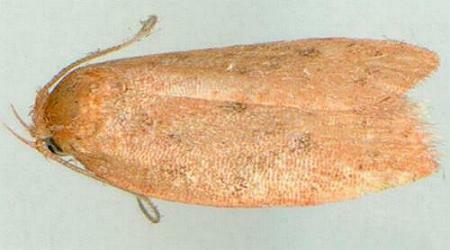 The adult moth has brown forewings with variable vague dark spots and zigzag lines. The hindwings are pale brown darkening toward the margins. The wingspan is about 1.5 cms. CSIRO Publishing, Melbourne 1994, p. 301. Volume 1, Part 6 (1914), pp. 174-175.